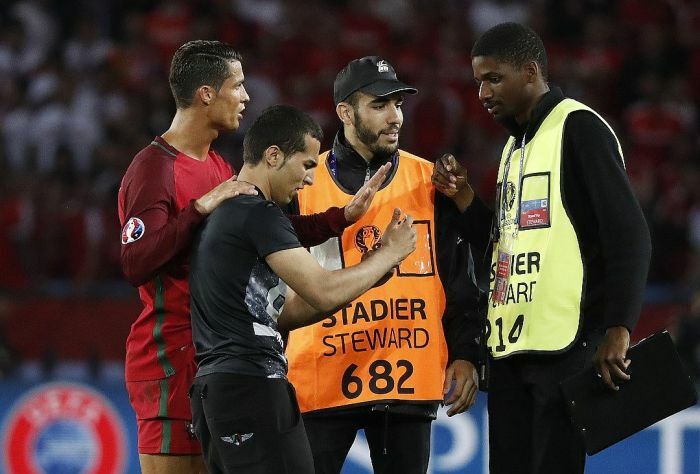 A fan recently rushed the field at Workers Stadium in Paris in an attempt to take a selfie with Cristiano Ronaldo. 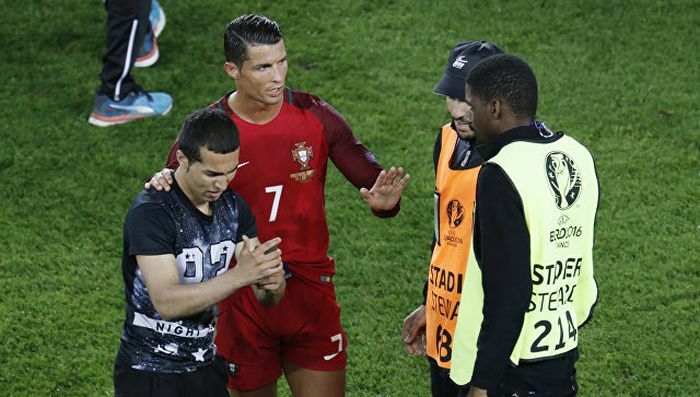 Security immediately went after the fan and tried to have him ejected but they were stopped by Ronaldo who insisted that the fan should be allowed to take the selfie before exiting the field. A person so pathetic as to have no self-worth without disgracing himself utterly in front of millions of other senseless and stupid people, thereby producing in his mind the greatest moment in life: an ephemeral few seconds of fame. A muse is upon me, and I must wax poetic. It's nice that he looked out for one of his fans, but it kind of sends the wrong message.